As designers, we work mostly with form, color, and typography to express meanings and communicate ideas, messages, or concepts. Writers also have some core tools that they use for storytelling. Archetypes are one of these tools. First described by Swiss psychologist Carl Jung, archetypes are symbolic images recognized in the collective unconscious of all people. Using archetype characters in storytelling is a more subtle way for writers to use symbols and expressing ideas without explicitly writing those ideas. Published on Point Park University, a detailed infographic has been making the rounds on the Internet. It takes the most common characters a hero usually meets in an adventure and details it in a short text and a great illustration. In the detailed presentation of the infographic, you can discover the illustrations one-by-one by hovering each archetype image. In a clever twist, each archetype is presented as a tarot character, making each illustration a tarot card. The cards are simple vector illustrations that use the world surrounding each character to represent each archetype. Each card’s color scheme was carefully studied to match the universe we could imagine for each archetype. The use of tarot card was very clever, as it is one of the best examples of archetype use in design. The archetypes presented are the following: the Hero, the Herald, the Mentor, the Threshold Guardian, the Shapeshifter, the Ally, the Trickster, and the Shadow. 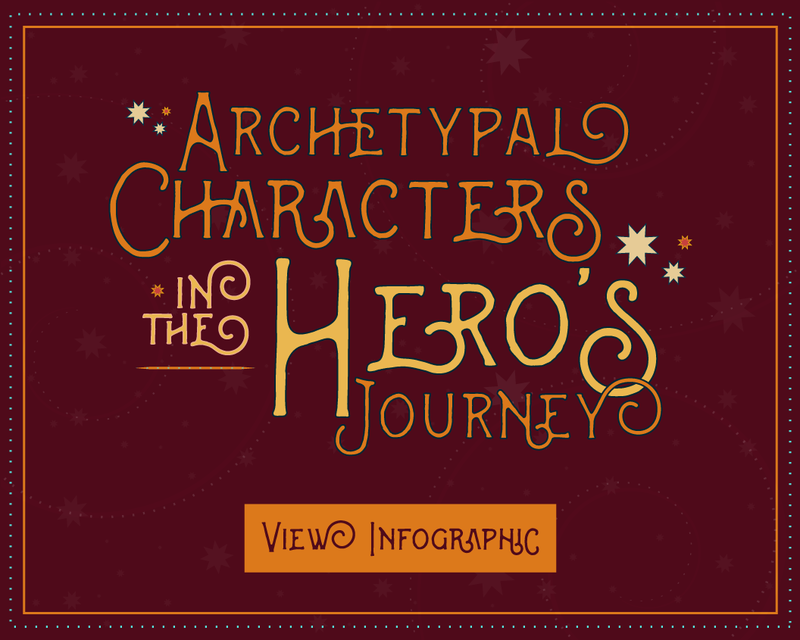 Discover each archetype’s description in the infographic below or in this detailed article.